fosters.com explores this in a recent article, “What happens to your debt in estate planning?” The article reminds us that this is where estate planning is needed. An estate plan is a set of instructions that lets us designate certain individuals to act on our behalf after we die, or while we’re living but incapacitated, and provides guidance about how our assets should be distributed to beneficiaries at death, or managed for us while we are alive but unable to do so on our own. Wills, trusts, and beneficiary forms set out our instructions as to who will receive any assets that we leave behind. Wills name an executor who is responsible for an accounting of all of our assets and liabilities at death. The executor also works with the probate court to get our creditors paid, and distribute the remaining funds to our heirs. Trusts are similar, but don’t involve oversight by the probate court. When a trust is set up to own assets during your lifetime, a successor trustee is named at your death or incapacity to manage the trust assets and then distribute them at the specified time to the named beneficiaries. Wills and trusts don’t have any control over accounts that have a joint owner or beneficiary designation, unless the estate or trust has specifically been named as beneficiary. IRAs, 401(k)s, life insurance, annuity contracts, and brokerage and bank accounts can all be created with beneficiary designations that serve as the instructions to their custodians, regarding who is to receive them after death. Durable power of attorney documents for both financial matters and health care are also important components of a retiree’s estate plan. Because IRAs, 401(k)s and other retirement accounts can’t be owned by a revocable trust, trustees can’t manage them for you. An agent designated in a durable power of attorney can take any actions you authorize on these sources of retirement cash flow. A durable power for health care will specify the individual you authorize to make care decisions for you and what your wishes are regarding life-sustaining treatments. It is not unusual for those approaching retirement to either delay creating wills, trusts and power of attorney documents or not to have reviewed them for many years. Because laws and relationships change over time, it is important to review estate planning documents regularly and consult with an estate planning attorney when updates are needed. What happens to the debt? With good planning, there hopefully is no debt. But if there is, beneficiaries generally do not have to pay the obligation, unless the debt was owned jointly with a spouse or a co-signer. Unsecured debts, like credit cards, however, do become liabilities of the estate and payment of these debts will be overseen by the probate court. The executor will need to pay them from any assets passing via the decedent’s will. An experienced estate planning attorney should work through these items with you and your heirs to take care of your affairs while you are living. Pay down your debt. If you have a lot of high interest credit card debt, pay that off before you put money into your 401(k). Wait on retirement. Spend a few more years in the workforce, and you’ll see a big difference. You’ll allow yourself more time to pay off debt before retirement and also delay the age at which you begin taking Social Security benefits. The longer you wait to claim your Social Security benefits, the bigger your monthly check. Ask for help. 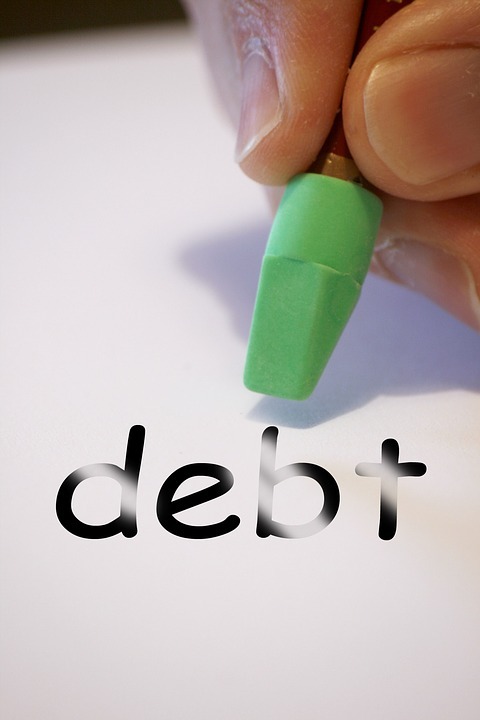 Talk with an elder law attorney and get some advice on a strategy to pay down debt. Even experienced financial advisors can get caught up in the complications of dealing with an inheritance. After receiving an inheritance from his mother that included stock in a mining company she favored, it took Ken Moraif months to sell the shares, even though they were losing value. "I had to get over the thought that this is selling my mom," says Moraif, senior advisor with the wealth management firm MoneyMatters.net. "It's a very strong emotion." On average, American retirees planning to leave an inheritance anticipate giving about $177,000 to their heirs, according to a 2013 report by HSBC. A fifth of legacies left to children in the U.S. were expected to exceed $390,000. Such sums of money can provide huge benefits. But the chunks of cash that often coincide with emotional loss can also open up complicated investment choices. US News & World Report's recent article, "What to Do When You Get an Inheritance," reminds us that even though there's no "one-size-fits-all" plan, there are several items you should consider before putting money into the stock market. Feeling overwhelmed? Do you live in South Florida? I can help! Call me (305-443-3104) right away for peace of mind.